A long time ago in a galaxy not so far away...Oakwood’s Family Life team joined the rebellion against the Evil One. 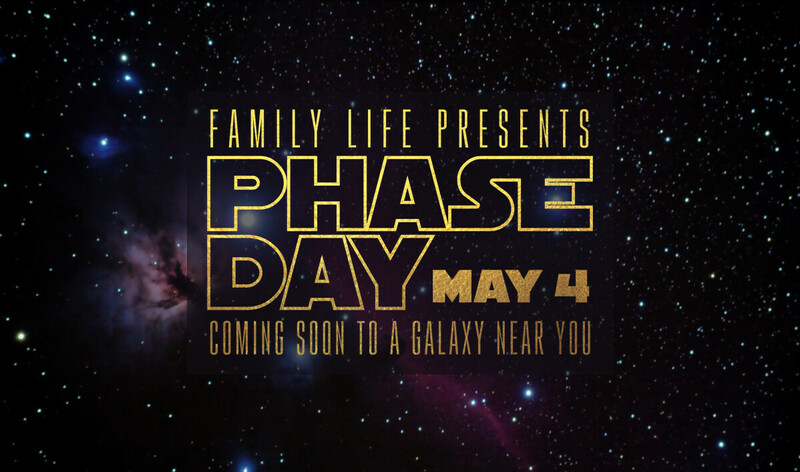 On this 4th day of May, families are invited to join forces with the Family Life team at PHASE DAY* as we explore strategies to defeat the Evil One. *PHASE DAY will encourage, equip, empower and energize the entire family with phase-specific Waypoints for parents and kids to experience together. On behalf of all the rebel forces who came before us… May the 4th be with you as you seek to grow your family’s faith!